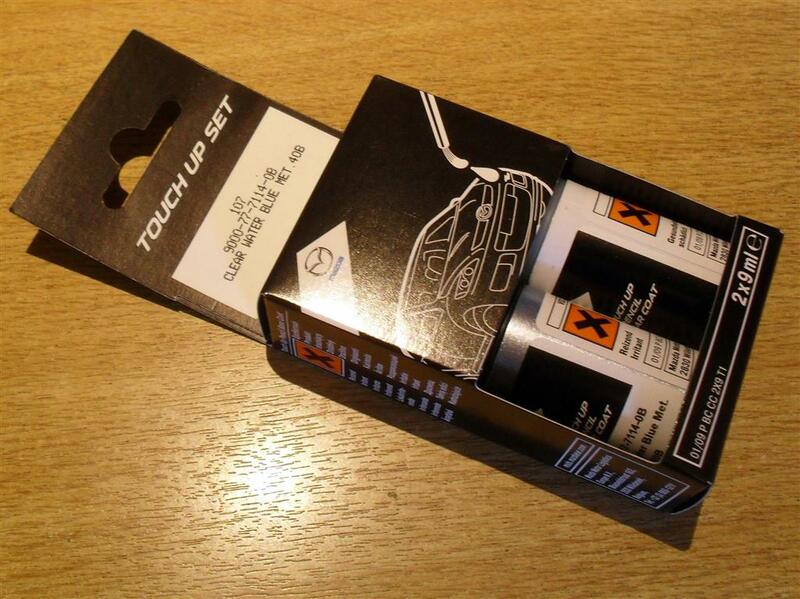 Genuine Mazda paint touch up set, Clearwater Blue 40B (metallic colour). Includes clear coat. NM00286-40B. Genuine Mazda paint touch up set, Clear Water Blue 40B , metallic colour. Includes the clear coat as well as the base colour. Check the paint code on the chassis plate, the sticker on the drivers door shut or in the service book, it will usually be in one of those places.